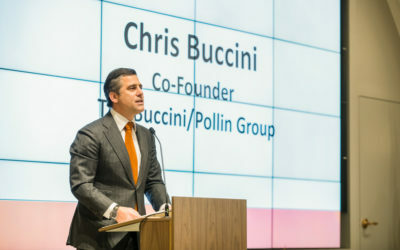 The Buccini/Pollin Group’s Co-President Chris Buccini spoke on the significance of The Chemours Company’s new headquarters in Downtown Wilmington, Delaware during the grand opening ceremony at the Dupont Building on Tuesday, January 15, 2019. Watch a clip of Chris Buccini’s remarks in the video below. Video footage of the ceremony was captured by WDEL in “Chemour Takes Over Where DuPont Left Off”.